In the lead-up to the one-year anniversary of the 2016 presidential election, Reveal from The Center for Investigative Reporting is launching The Divided, a five-part video series looking at the hopes and fears of Americans following the election of President Donald Trump. 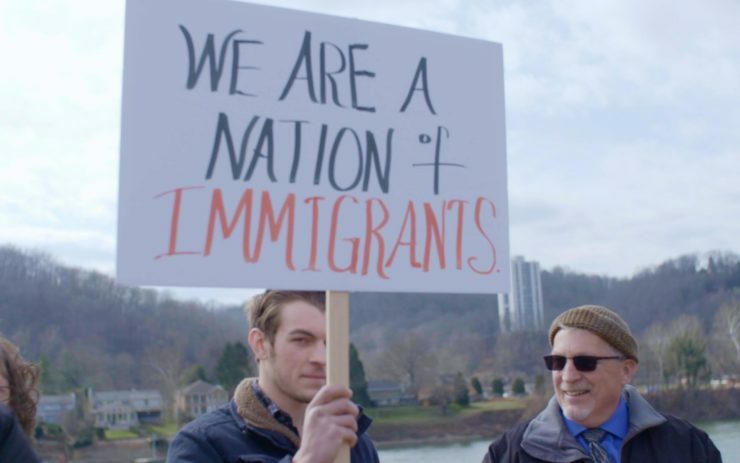 Our filmmakers traveled the country to tell stories of people affected by some of the country’s most divisive issues. They range from a rancher whose property sits on the Mexican border to religious leaders attempting to bring refugees to West Virginia and a shrimp farmer who nearly lost his business due to competing imports. The series was produced through Reveal’s 2017 Glassbreaker Films initiative, which supported women in investigative journalism and documentary filmmaking. Glassbreaker Films was generously funded by the Helen Gurley Brown Foundation. Watch The Divided videos here, and stay tuned for more from Glassbreaker Films.